Storex is a web template designed to help independent fashion designers. The template helps display and sell products on mobile devices. It also provides a framework to allow designers to blog about their work. This simple and elegant app was designed to let designers organize their content. Designers can divide their products into clear categories so customers can find things fast. Mobile purchasing is often frustrating and difficult. So Navigation was kept simple. Individual product pages allow in-app product previews of color variations. 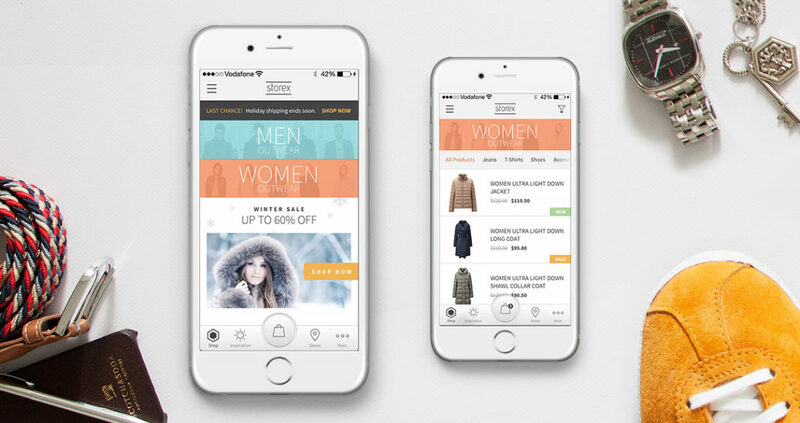 Mobile ecommerce has never looked better!